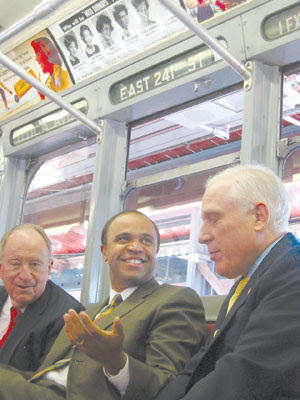 With the Daily News reporting today that Bronx Borough President Adolfo Carrion is indeed heading to Washington to become Obama's urban policy director, the Norwood News takes an in-depth look at his tenure in office and his prospects for success on a bigger stage. Basically, what we found is that although Carrion's been criticized by city and local advocates for his handling of some big-ticket development projects, most observers have nothing but kind words for the outgoing B.P. Here's an opinion on Carrion as a leader and what he can do to help him excel in higher office. By the way, as of this post, the White House has yet to announce Carrion's appointment. The (departing?) B.P. will give his final state of the borough address on Friday morning at Lehman College. We'll have post-speech coverage here on the blog.